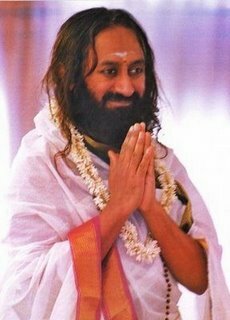 Dearest Gurudev, it is possible to restore trust in a relationship after a partner cheats? How to get past a cheating partner? I can tell you one thing, suppose you were in your partner’s place and you made a mistake; not willingly but unknowingly, or due to some compulsion. If your partner does not forgive you and holds it against you, how would you feel? Get into your partners place and see. If you were the person who made that mistake, and your partner is not forgiving you, would you feel okay, or would you beg your partner to give you one more chance? This is good enough for you to take a clue. You expect your partner to be an enlightened person. You expect him to behave in an enlightened way. This is expecting too much from your side. If they have made a mistake once or twice, you should forgive them and give them another chance. This is why spiritual knowledge and the spiritual path is so essential for someone to grow in integrity and in honesty. Without this there cannot be honesty. If they have made a mistake, your bigness is in forgiving them, you should not make someone feel guilty all the time. If they have done some mistake, you should say, ‘Never mind, forget it! Let us move on'. But we don't do that, instead what do we do?We walk with a finger pointed towards them, which says, ‘You did it!’ Then how can they be friendly with you? Nobody wants to cheats anyone, it is a temptation or a craving for something more that drives a person to do unethical things. Your soul does not stop until it finds itself, until it finds the ocean of joy. Until then, it keeps going for something more, thinking, ‘I may get something here’. This is what drives a person. I have a constant feeling that I am not doing enough for you. I also feel some envy when you praise someone else. How do I deal with this feeling? This is the nature of love, you always feel that you want to do more and more. A mother always feels that she wants to do more for the daughter. She feels like she has not done enough for her daughter. It is the nature of love to want to do more. When love is diminishing, then you feel or say, ‘Oh, I have done enough! I have done all that I could!’ That is when frustration has stepped in. The day you feel that way, then know that there is some tiredness or frustration; the spirit is going down. 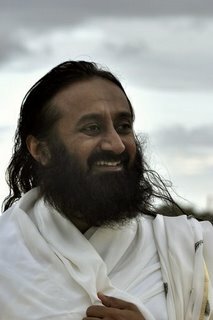 Dear Gurudev, what would be the best way to stay connected with you while overcoming organizational politics? Listen, where there are people there is politics. What does politics mean? It means people. The world has (people) politics everywhere. If you think there is politics, it appears even bigger. If you think people are different, with different roles to play, different tendencies, and it is not necessary that everyone likes everybody, then you will not see it as politics. Some people like you and some don't like you. Everybody's vibes do not match with everybody. Why do you say politics? It is because your vibes have not matched with someone. You cannot find an escape to such things anywhere in the world. You should simply see that we are much beyond and above this politics. We are here to bring happiness, and we should be focused that. If you focus on knowledge and know that you are connected with me, nothing can deter you from that. Even though I know what is good for me, I still am still attracted to self destructive habits such as laziness and selfishness. I feel like it has something to do with my childhood. What is the best way to remember what is forgotten from the early years? Start with simple things, and be determined to follow them. For example, say, 'I am going to walk a kilometer today', and do it! You set the challenge for yourself and fulfill it. This is the way to increase your confidence and capacity. 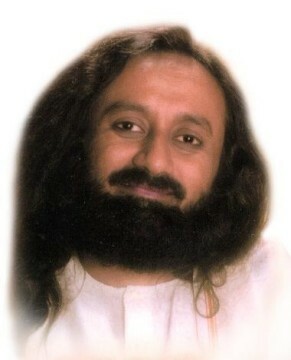 Dearest Gurudev, people are enjoying less personal freedom. The Government and the cooperation are taking over our lives more and more. What can the regular average people do? Rules and regulations are essential in any society, but it should not be too stifling. Individual and private life should also not be too stifling. When you feel life is getting boring and coming to a standstill, that is when you should engage in activities like what you are doing this weekend (The Silence Program). Enroll in such programs at least twice a year. Here we are singing, reflecting, thinking, and doing something more. We should also engage in some group activities for a couple of hours on a day to day basis. The more we are in our comfort zone, just caring for ourselves and our immediate families, our life starts shrinking. Then we start being angry, upset, frustrated; all these negative thoughts start coming. If you keep yourself a little engaged in social and public activity, you will be less upset at home, and there will be more harmony at the home front.